The company Fitbit released data showing how America sleeps after taking recordings on their fitness tracker. Getting a good night’s sleep is vital for health. But until recently, the only way you could actually monitor the quality of your sleep was to visit a sleep clinic. Wearable technology has changed all that. Smartwatches and fitness trackers now tell us how many steps we’re taking each day, how many calories we’re burning and how well we’re sleeping. Wearables company Fitbit has released data on 6 billion nights of its American users’ sleep. Fitbit is a wearable technology - in a wristband or watch format - that tracks movement. They retail at around $60 up to around $300, so it's fair to say that this data tracks the activity only of more wealthy consumers. That being said, “It’s probably the largest biometric data set in the world,” according to Fitbit data scientists. 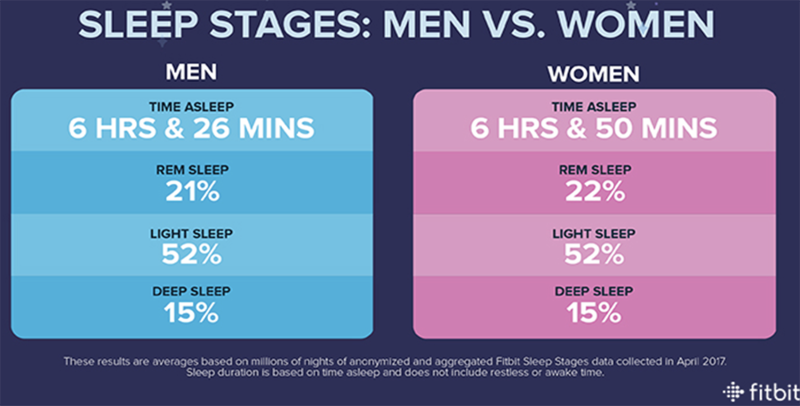 Analysis of the Fitbit data provides some interesting insights into sleep. For starters, nobody’s getting enough of it. According to the Centers for Disease Control, the average adult should sleep at least seven hours a night. But men and women in the US are falling short. Women average six hours and 50 minutes a night, while for men it’s six hours and 26 minutes. The results show that men and women get around the same mix of light and deep sleep on any given night. However, women sleep for 25 minutes longer than men. The authors of the report suggest that this is because other studies have shown that women are 40% more likely to suffer from insomnia than men. So it could be that women stay in bed longer for the simple reason that their sleep is less efficient. 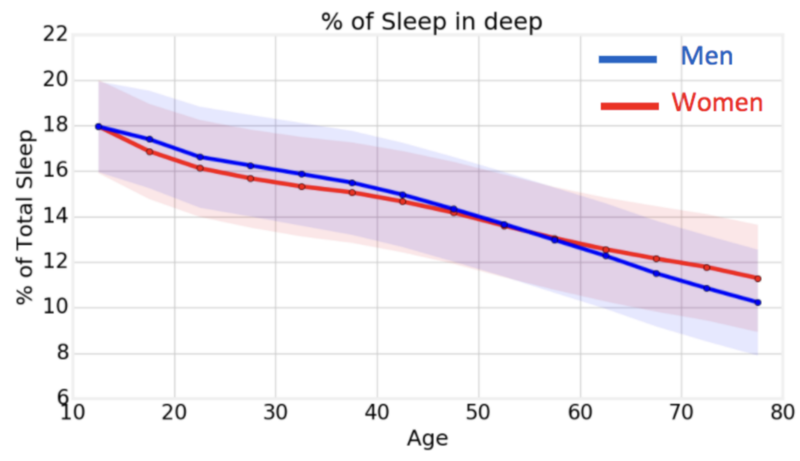 A typical 20 year-old gets half an hour more deep sleep a night than a 70 year-old. Bedtime for the average American is 11:21 pm, but it varies throughout the week, which can cause problems. 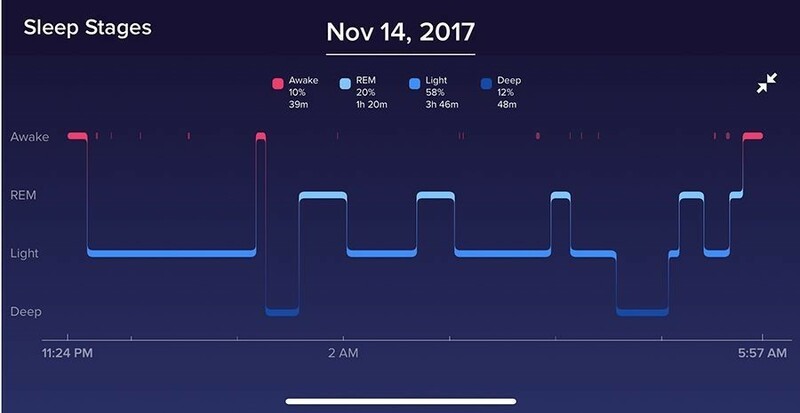 The Fitbit data shows that your sleep suffers as a result of inconsistency. People whose bedtimes varied by two hours over the week, slept for half an hour less per night, on average, than those whose bedtimes changed by only 30 minutes. This is what Fitbit called “social jet lag”. Bostonians were the worst social jet lag culprits, while people in Las Vegas had the smallest difference between weekday and weekend bedtimes. Fitbit and other fitness trackers measure sleep through movement and heartbeat. When your body is completely at rest and unmoving, your device records that you are asleep. It tracks your heart-rate to monitor which stages of sleep you have passed through. It measures REM sleep (the vivid dreams stage, good for mood regulation and memory processing); deep sleep (good for memory, learning, the immune system and feeling rested); and light sleep. 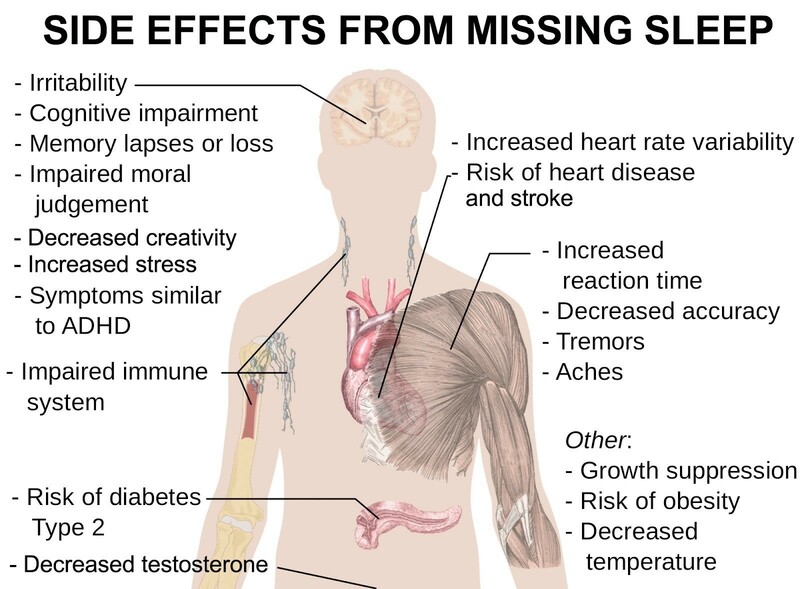 Sleep is crucial to our long-term health and wellbeing. Lack of sleep causes a myriad of symptoms, including irritability and memory loss as well as increased risk of heart disease and stroke. Sleep is playing an evermore fundamental part in our thinking about health. Scientists recently achieved a breakthrough when they decoded the human body clock, which dictates when we feel the need to eat and sleep. It was a discovery deemed so important, that the scientists involved received a Nobel Prize for their efforts. Companies are beginning to recognize the importance of having a well-rested workforce and some even allow their employees to have a nap. 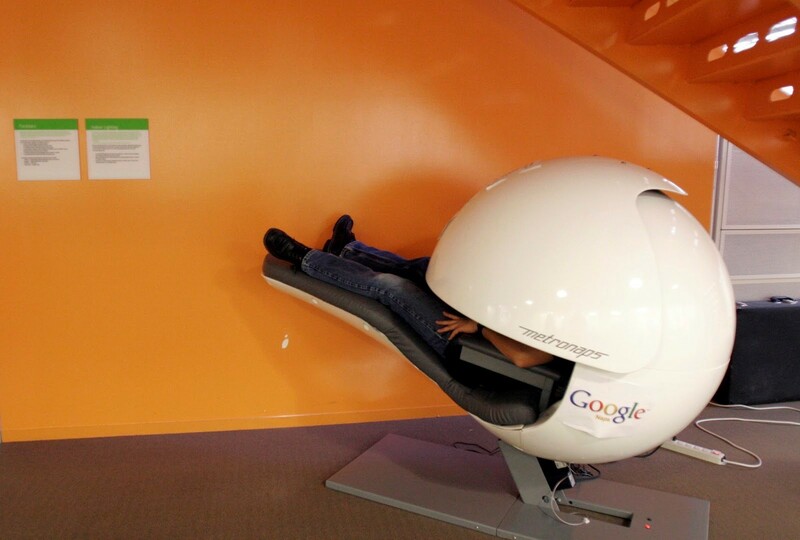 Staff at NASA, Google and Samsung, for example, can nap at work in a specially designed sleep pod. Other initiatives seek to enforce a divide between our work and leisure time, to help people disconnect and rest. France, for example, introduced a law last year giving the employees of large companies the right to ignore work email in the evenings.